According to census bureau data, 2013 saw 2.3 million more people living in metro areas than in 2012, with 269.9 million people now living in cities and their surrounding areas. Essentially, young professionals and baby boomers who are retiring are moving back to the city. The cost to buy a home in the suburbs is not as affordable as it once was. As a result, many young people cannot afford the down payment for a home. Retirees who have raised their families are choosing to live where senior-friendly amenities are found. As more people flock to cities in search of social and economic opportunities, cities will be faced with the challenge of how to best absorb its residents’ needs along with developing an infrastructure to support their growing populations. In the past, the urban planning and development of city communities have largely focused on “hard infrastructures” such as sewers, roads and utilities as well as the environmental or ecological management of natural resources. But as city communities across the nation begin to experience increased population growth, the focus will need to go beyond the physical environment. Urban planning and development must also embrace the sustaining of a healthy “soft infrastructure” or the social needs of the community. Research shows that there is a strong connection between the quality of social infrastructure in communities and the well-being of its residents. Residents need local, social networks and shared community experiences to build a sense of belonging and identity. Communities without a strong social infrastructure can leave residents feeling isolated, creating an environment where residents can potentially develop mental health issues, experience an increase in crime, and feel a lack of cohesiveness amongst races and cultures. Meet the basic needs of food, shelter, education, work, home, and safe living conditions for its residents to flourish and live with dignity. Support equity and fairly distribute in the community health-related amenities and benefits, facilities and programs to promote wellness and meet the needs of all levels of mental and physical care. Provide an environment in which high quality, affordable education is accessible and available for students of all ages. Preserve the cultural heritage and diversity of its residents where people come to live, work and play, regardless of age, ethnicity, religion, culture, income, sexual orientation, ability and family status. Encourage, promote, and support the involvement of all its residents in the planning and developing of the city and civic affairs. What strategies can be implemented to reach the goal of a healthy, social infrastructure in a community? 1. 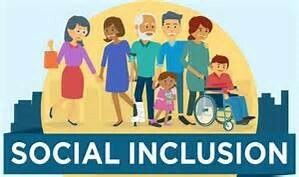 Social Inclusion– A socially inclusive community is one in which all members feel valued and have the opportunity to fully participate in the life of that community. Housing can be designed so that neighbors can interact by providing “walking distance communities” where each neighborhood would contain a school, shops, post office, church, community center and sports facilities. Transportation routes should do more than connect people to the urban center. Routes should also take into consider the networks that exist within communities and help link people to destinations like libraries, museums, schools and other places of interest. 2. Community Safety– Creating places that feel safe is complex as perceptions of danger are often greater than the actual threat posed. The design of the physical environment has an important role to play in creating the infrastructure that can prevent criminal behavior, and also that creates a sense of safety within communities. Intimidating environments which appear neglected and underused can typically cause people to feel unsafe as opposed to well-designed active spaces. 3. Give a Voice– While advances in technology and social media are major drivers for change, it is their combination with more traditional interactive means like town hall meetings and genuine engagement that really give residents a sense of a voice and a stake in their communities. The need for this type of social or community development could be achieved through recruiting teams of social liaisons or community volunteers, based in local houses, to meet with existing residents, greet new residents, provide local information and involve residents in the decision-making process as the community grows. 4. Helping Communities to be Healthy– This can be accomplished through collaborating with community partners to make policies and environmental changes that support healthy food and vending choices, smoke-free spaces, and more physical active in community-based organizations, schools and work sites. 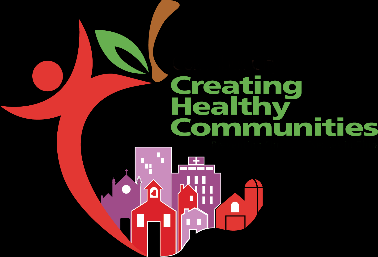 Local government and agencies can assist communities in creating a plan to reduce chronic disease in their neighborhoods through providing public information and educational materials on chronic disease prevention as well as providing information on access to healthy food programs. A healthy social infrastructure is vital to a community’s sustainability. 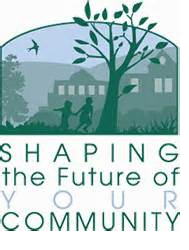 In human value, it is essential for the health, learning, social well-being and economic prosperity of the community. Social infrastructure plays a key role in developing community life. It plays a vital role in reducing health and social costs (i.e., crime) associated with the feeling of isolation and stress. Through providing public spaces, a community brings people together and creates a social cohesion regardless of age, ethnicity, religion, culture, income, sexual orientation, ability and family status. Embracing the social needs of a community will be critical in the future as our cities and urban areas experience increased population growth.